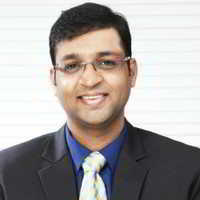 He is the founder director of elearnmarkets and is extremely passionate about education and technology. He is an active financial market participant and loves to contribute to the complete ecosystem. He is part of various committees of exchanges and regulator and has been an active contributor in the evolution of Indian Derivatives Market.He has been speaker in various colleges and higher institutions including IIT and IIMs. He has more than 10 years of experience in financial markets in the training vertical. Has rich experience of working for Edelweiss Broking , AMCs like Reliance, ICICI , HDFC , Kotak , ICICI Direct Centre For Financial Learning , NJ India (Invest) Pvt Ltd & BSE Institute. Also , exposed to institutional research (mutual funds) at the onset of his career at J.R.Laddha Financial Services. Passionate about spreading personal financial planning & wealth management. She has an experience of more than 12 years in the capital market, especially in the field of Research & Trading. Over 7 years she has been active educator of financial markets, especially in the field of Derivatives, Options & Technical Analysis. 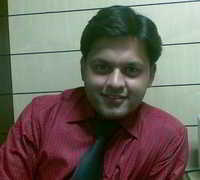 He has rich experience of 8 years as an equity and commodity trader and trainer. 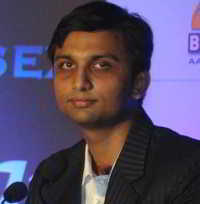 He has worked as a crude oil trader for 3 years for FuturesFirst, trading in the ICE exchange, Europe. Technical analysis is his area of interest and he is involved in developing trading algorithms. She has 15 years of experience into the fundamental and Technical research of Equity and Commodity markets. 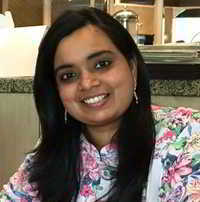 She has worked as research analyst at Sharekhan,fort share, Guiness, SKS She has prepared many stock specific reports and shared sector specific ideologies with its Broking House and its Clients. 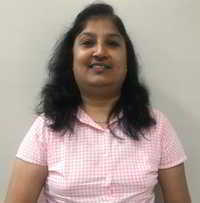 She is a value researcher with proven expertise in finding valuable growth oriented scripts giving phenomenal returns. She has attended many con calls and initiated many seminars while in work as Research Analyst. 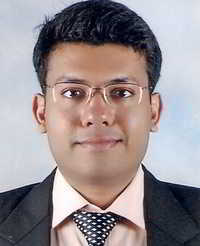 He has experience of more than 8 years in Indian markets. 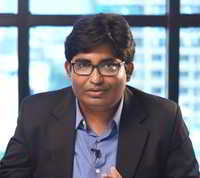 He is a passionate investor in equities and runs a family fund specialising in midcap investing and cloning strategy. He has an avid interest in behavioural finance and human psychology involved in investing. 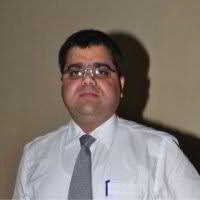 Abhijit Paul having over 12 years of experience in Indian financial markets, he has been an analyst with reputed broking firms like ICICI Securities and BRICS Securities, Mumbai. He continues to contribute to financial media by sharing his views on business channels like CNBC, Zee Business, and Bloomberg. 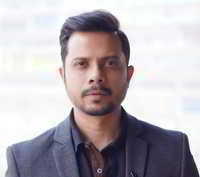 He has the experience of being 17 years in the markets starting from front office to fundamentals research before moving to techincals side and specializing in options trading and is presently a full time Professional trader focusing on index options. He has written various articles for Moneycontrol.com and has given lectures in various institutes like IIFT and St. Xavier's College. Anirban is a finance faculty and an entrepreneur with more than 16 years of experience. He is currently associated with National Institute of Securities Markets (NISM), Centre For Investment Education and Learning (CIEL) and Kredent Academy as a consultant trainer. 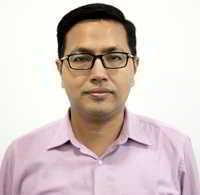 In the past, he has worked in leading organisations like the National Stock Exchange of India Ltd, ICICI Securities Ltd, and Kotak Securities Ltd. 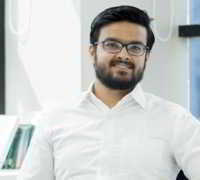 He regularly conducts programs for students, investors and market participants and has taken classes in prominent institutions like NSE, BSE, NSDL, MSEIL, St. Xavier’s College, Kolkata, IIT Kharagpur, ICICI Securities Ltd, XISS, Ranchi, ITM, Mumbai, and The Calcutta Stock Exchange Ltd. 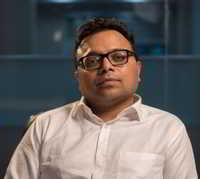 He has an experience of 10+years as Proprietary Desk Trader, he has an In-depth understanding of options including management of Greeks of plain vanilla options portfolio. He is a Senior Options Strategist and Trader with Kredent Finance. He also loves teaching and is a visiting faculty on various financial subjects at B-School. Also involved in knowledge development at Kredent Academy. He has also been awarded the title "Sensex ka Sultan" for being the winner of the City Round of Zee Business Sensex ka Sultan, powered by BSE Investor’s Protection Fund. He is the Student Performance Award winner in the CMA exam and also holds the Certificate of Distinguished Performance in the CFM exam. He has 15 years of work experience across the globe (i.e. the US, London, Sydney, Perth, the Middle East, Chennai and Kolkata). He has provided valuation support in multi-million dollar lawsuit, helped start-up raise private equity, prepared independent expert report for Big Four firm, and worked with investment banks in equity research.